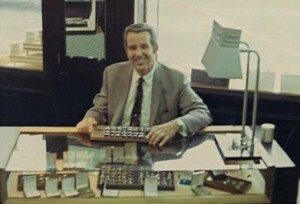 Our great-grandfather, Sam, pictured at our family’s first Portland jewelry store in 1897. He’s the dapper guy in the center. Every family has its traditions. 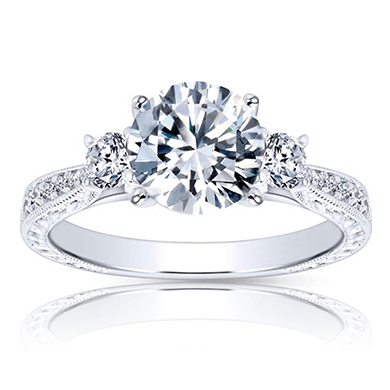 Ours is jewelry. The jewelry business is obviously in our blood. Both sides of our family emigrated from Kiev, Russia, where they were involved in jewelry manufacturing since the late 19th Century. 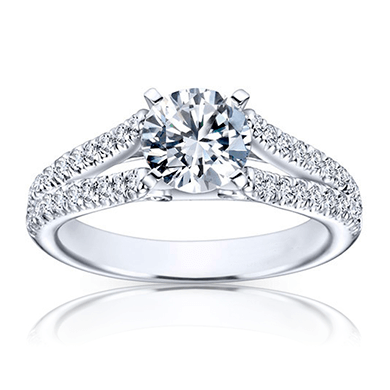 Our great grandfather, Samuel Mazurosky, established our family’s first jewelry store on Front Avenue in 1888. 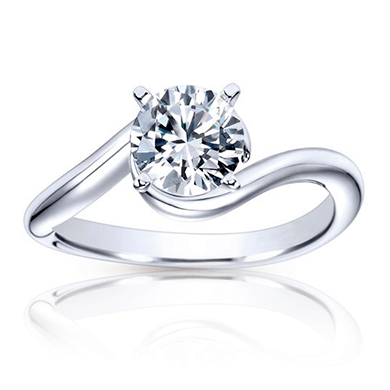 Portland’s family-owned jewelers since 1910. Seventeen years later our grandfather Albert stepped off the boat that carried him from Russia. He couldn’t speak a word of English and didn’t have ten dollars in his pocket. 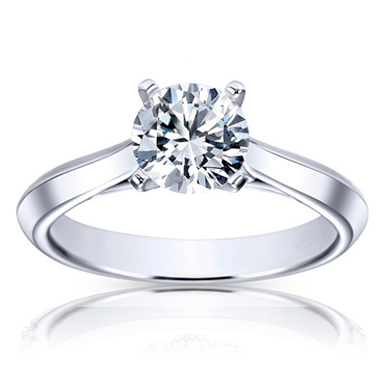 Amazingly, Albert was able to open his first store—Rogoway Jewelers—on NW 6th and Couch just five years later in 1910. He chose that location so he could be within walking distance of the train station, where he could roll a cart filled with jewelry to meet arriving travelers. In 1934 our grandfather moved to the corner of SW 3rd and Alder and remained there for the next thirty years. 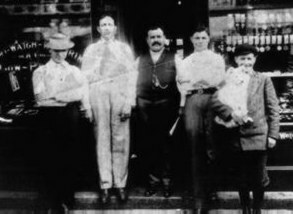 The business was truly a family affair, as Albert’s four sons all worked in the store, starting when each of them turned ten years old. It took the whole family persevering together to survive the Great Depression, during which at times the family went days without making a sale. In 1946, Albert’s oldest son Sam ventured to what was then the vast, uncrowded suburban area of SE 82nd and Foster Road. He replaced a tiny hot dog stand with the Landmark Diamond Corner, including the famous revolving diamond on the roof. 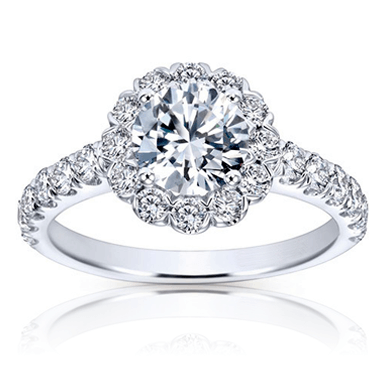 He combined the first name of his wife Laveta and his last name Rogoway to make it LaRog Jewelers. When Sam sadly passed away in 1960, our dad Stan stepped in and built up the business. 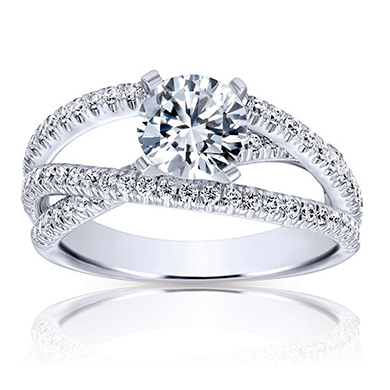 Our always smiling, enthusiastic father believed the store should specialize in diamond engagement rings and weddings bands, so he focused on offering the best selection of bridal jewelry in the area. Couples traveled from all over the city to shop at the little store on the corner. Rick & Dave were born to be jewelers. Now, with two Portland area LaRog Brothers locations, we and our great sales associates strive to follow in his successful footsteps. 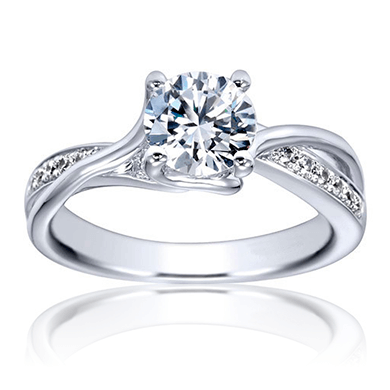 You could say jewelry is in our genes. As the owners of LaRog Brothers, we’re proud to be the fourth generation in this family-owned business. Even as kids, our idea of fun was hanging around the store. We literally grew up there, learning the business from our Dad. 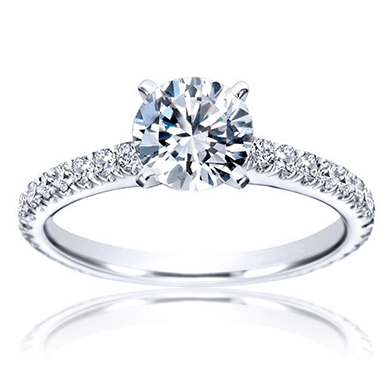 In time we went from sweeping the sidewalk and cleaning the glass showcases to traveling to the diamond cutting centers around the world. Today, working in the stores is still about the most fun we can imagine. The next time you visit, hopefully soon, we look forward to meeting you in person. LaRog’s historic landmark location on the corner of 82nd & Foster opened in 1946 and remained an anchor in the community for over 60 years. 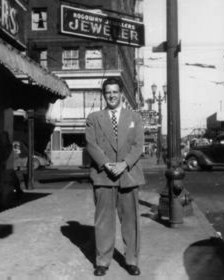 This is our father, Stan, standing in front of the family’s next jewelry store at Third and Alder downtown. 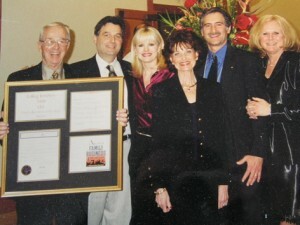 One of the proudest days of Dad’s life, and ours, was when LaRog received the Family Business of the Year award in 2000. 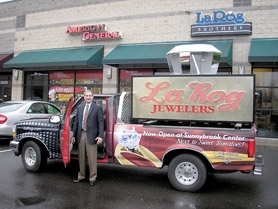 When LaRog Jewelers moved from 82nd and Foster to Sunnybrook Center, we couldn’t leave without the famous LaRog diamond sign!